If you are moving home and would like to confirm that the drains in your new property are working properly, then a home buyer pre purchase inspection is exactly what you need to investigate the working order of your drains. Blocked Drain Swindon CCTV surveys are ideal for detecting any drainage problems and can save you a lot of problems in the future. The team can identify the current structural and service condition of the drains and can provide you with a full evaluation. Providing a full technical report detailing any crucial and relevant information concerning your drains can help you in the right direction and pinpoint any underlying problems. By producing a survey report detailing anything that’s wrong, the specialists can understand what work is required to repair the system and provide the fastest and most cost effective way to alleviate any structural problems you may have. Swindon Drain Unblocking offer a no fault, no fee survey which is paid for by your insurance company as part of any re settlement and if the survey finds there are no problems, then there is nothing to pay. This encourages home owners to seek out help by Swindon Drain Unblocking so that any drainage problems can be rectified before they cause bigger problems such as flooding in your home. Drain problems is easy detectable for a professionals like us. As we use high quality and the latest trend technology it is as easy as count to three. 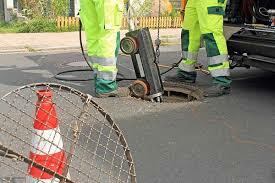 One of the main method we use for detecting the problems drain is facing is a general CCTV survey. If there is a pipe or drain you are concerned about call us and we will sort it out.